While the Philadelphia food scene is much more than just cheesesteaks, it seems to be what we’re known for. The most talked about cheesesteak establishments are Pat’s and Geno’s – this post isn’t about which is better. Honestly, it all depends on how you like your meat cooked, what kind of cheese you like, how you like the texture of your roll… the list goes on and on. Every cheesesteak shop in Philadelphia has their own loyal customers, who have been coming back for years and swear by their allegiance. Like I said, this post isn’t about comparing Pat’s and Geno’s (seriously, go down to South Philly and try for yourself- make a day out of it). Instead, this post is about how I won a date at Geno’s, complete with a private VIP booth, chocolate, champagne, and a meeting with Geno himself. I mean… I’m pretty cheesy. I have been known to tell a pretty good joke every once in a while. For example: A man walks into the zoo. The only animal in the entire zoo is a dog. It’s a shihtzu. (I seriously crack myself up). Anyway, I thought deep down and tried to figure out what the cheesiest thing I’ve ever done for love was. Finally it came to me: Back in college, my then boyfriend was supposed to go to a cruise for spring break. Unfortunately, he had to work and was unable to go. Seeing that he was pretty upset, I snuck into his room while he was in class, and decorated his apartment like a cruise ship, bringing the cruise to him. (Sorry Ryan, I seem to have lost my cheesiness as I’ve gotten older… but I won you a free cheesesteak, so is it really a loss?) I entered into the contest (on Instagram, Twitter, and on their website… I’m relentless), and crossed my fingers. Fast forward a week, when I receive a phone call from a South Jersey number I didn’t have in my phone. Upon answering, I was told I had won! (I was actually pretty shocked. The last thing I’ve ever won was a free cake in 5th grade at the elementary school carnival…) After confirming a date and a time for my date night, I was all set. At noon on March 5, 2016, Ryan and I headed down to Geno’s for our date. Upon our arrival we texted our contact for the day (hi Yinka!) and were greeted outside. I was very curious as to where this VIP booth would be- for those who don’t know, Geno’s seating is entirely outside, with tables lining the sidewalk. Were they going to rope off one of the tables? We dressed warmly just in case. Once Yinka came outside to meet us, she brought us around the side of the restaurant, through the back door, and into the glorious cheesesteak establishment. The very first thing we noticed was how immaculately clean it was – not something you expect from a cheesesteak joint turning out hundreds of cheesesteaks a day. If you dropped a Geno’s steak on the floor, you could most definitely eat it (shhh I won’t tell anyone). After we got the grand tour, we were led to our VIP booth. This is where all the celebrities eat when they come in town. It’s inside, it’s cozy, it’s unexpected. 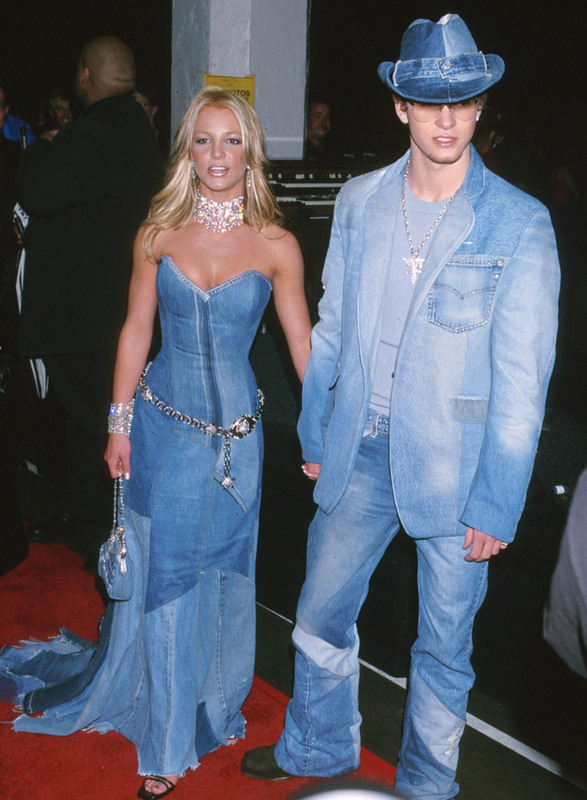 We were surrounded by photos of great Philly sports stars (and non-Philly sports stars), comedians, actors… but I was most impressed by Justin Timberlake circa 2000 (probably taken right around his denim suit fiasco). Geno came over to us, introduced himself, and we took a photo in front of the VIP wall. We were asked asked how we like our steaks, and once we both indicated we like them “whiz wit”, the order was placed (along with some cheese fries). We spoke with Geno for about 20 minutes, learning about him, his shop, and which celebrities he’s enjoyed meeting the most. We also asked about the “rivalry” between him and Pat, and as it turns out, they’re pretty good friends, and eat each others cheesesteaks. Our meals were brought over, and Geno offered us his favorite champagne, imported from France. Afterwards, we were left along for about 10 minutes, so we could finish eating, and enjoy our romantic date together. After successfully stuffing our faces, Geno came back and told us that he would be taking us to his favorite chocolate dessert cafe- Rim Cafe, right around the corner in the Italian Market. Our experience at Rim was one that is deserving of it’s own post. The owner is a character and the chocolate was delicious- so much so we went back later that night after dinner for dessert. Be sure to check back on Wednesday to hear all about our time at Rim Cafe! I’d like to thank Geno’s Steaks for having us! We had a great time and can’t wait to come back.